Watching NFL (National Football League) games on Sundays and Monday and Thursday nights has become a tradition for millions of Americans. Watching their favorite teams, having friendly competition with family and friends and buying NFL clothing and accessories has become a way of life for so many. 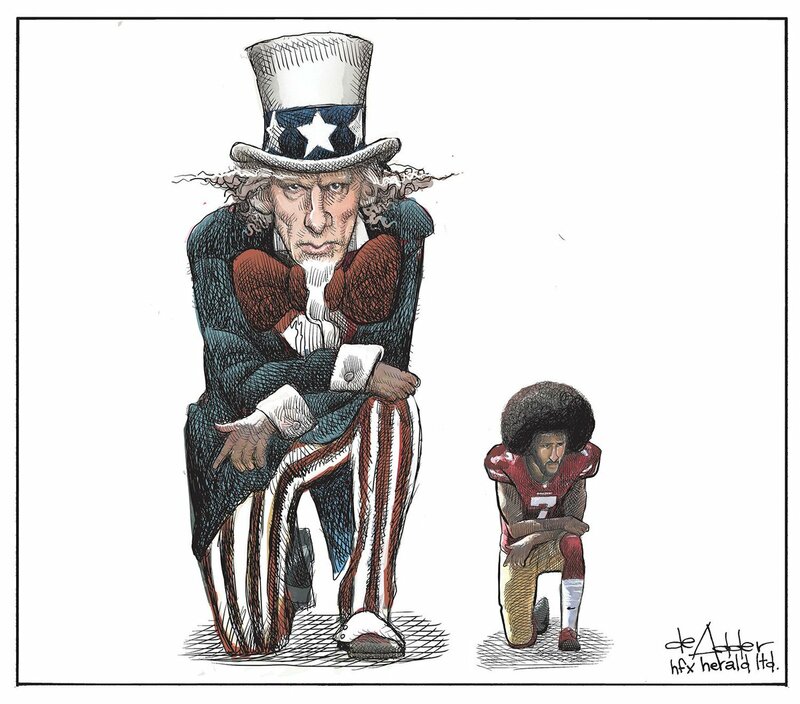 With so many players choosing whether to stand or kneel, or even come out of the tunnel during the National Anthem, the question becomes did this hurt the NFL financially. As much as Americans love their football, they also love the National Anthem and all that it represents. The NFL makes money in multiple ways. There are the fans that travel to stadiums and buy tickets and all the souvenirs, hot dogs and beer than they can handle, there are the ones that buy officially licensed NFL products from various retailers and there are also the fans that watch the games at home. The at home fans make the NFL money because they watch the advertisements on TV that companies shell out big bucks to have on during the games. Last season, the NFL lost a a staggering 10% of it’s overall viewership. Sunday Night Football lost the most fans, nearly 2.2 milllion of them to be exact. The drop in viewership equated to a revenue drop of 1.2 percent for the NFL, to the financial total of at least $30 million. All of this information is cited from The International Journalism Review. Part of this drop in viewership came not only from Americans taking a side with kneeling players, but also the NFL’s direct decision to reject an ad from the American Veterans that encouraged people to stand for the National Anthem. This decision angered many NFL fans, some that were still avid watchers of games. Not only did the NFL lose additional fans from watching games over this ad, but they also lost the revenue the ad would generate for the league. Americanthinker.com did a poll with over 9,000 avid football fans about what their feelings are towards the NFL since the kneeling situation started. More than half of those that participated admitted to having less of a following of the NFL, anywhere from watching less NFL on tv, buying less NFL merchandise, choosing to not attend an NFL game or cancelling an NFL related viewing all together. While this is not the entire media that consider themselves fans of the NFL, it is a large number of respondents. Outkick the Coverage, a sports website, claims that during the 2017 season the NFL lost a staggering $500 million in total revenue from all sources. That is an incredible number to try to wrap your head around. While there could be loss from different reasons, the majority is pointed to the National Anthem and the loss of fans. Key weeks in the NFL schedule show dramatic drops in viewership, like Veteran’s Day weekend, and all signs point to the National Anthem and the NFL’s lack of a response to the kneeling. A quick Google search of the NFL and how they are doing financially, leads to hundreds of articles all saying the same thing, the NFL is losing fans and money and it all revolves around the National Anthem controversy. Even non football fans are aware of the controversy concerning the NFL. During the regular and post season, you would be hard pressed to not find a new cast, a magazine or newspaper or a social media site that didn’t have some type of information on this topic. Even in the off season there is still widespread talk and debate of the subject, but again, everyone agrees that fans are taking their viewership and money someplace else. Major retailers across the country drastically discounted NFL merchandise in order to sell it and many ordered less or did not reorder throughout the season like they normally do. Tuning into a game at home, even the most naive of fans could notice the empty seats throughout the stadium and anyone looking to buy tickets to games got deep discounts on tickets, just so they could be sold. Regardless of your stand on the National Anthem controversy, or even if you like the NFL, it is clear to see the NFL is losing money at a staggering rate. Without the NFL taking ownership of the situation, they will continue to lose money season after season and NFL fans will be left to wonder what will the future of the NFL look like down the road a few years? Why is softball declining in popularity? According to a report made by the Sports and fitness industry, softball and baseball are the most widely played team sports across the United States. This superb improvement stemmed out of the play ball initiative whose main objective was to encourage young people to play softball or baseball even on a casual basis. Reports have also shown that involvement of the youth in sports had drastically declined from 2009 due to the economic depression. The depression led to fewer kids both male and female participating in the sport due to the fact that they could not afford the costs of participation. Reports have shown that this has come to change and there has been an upward trend of casual participation in the softball game by girls. This is according to a report compiled by little league Baseball and softball. Over the past three years Little League Baseball and softball has recorded a steady upward trend in girls participating in Softball games at the rate of 2.4% per year. The idea advanced by little league, of fun and fitness has done wonders in increasing the number of girls who take part in the sport. The fun and fitness program encourages participants to not be too concern with the formalities of the game but rather the fun parts of the game. This has encouraged more girls to take part in the sport since they are under no pressure at all to adhere to the strict formalities of the sport. Little league has also come up with ways that ensure no little girl is left out by coming up with programs that ensure everyone is able to afford participating through programs like Grow the Game Grant. The reasoning used in the fun and fitness campaign is that, if you have people touching and just casually playing with the ball it makes it easier for you to capture them. This will ensure that children from a young age are exposed to the game early enough to enable them to specialize and also ensure that they get opportunity to participate in the game. Over the past few years, many girls have been ditching softball for baseball for different reasons. Girls playing baseball is a unique thing and its becoming common all around the country. This is going to be the case as long as the present generation of female baseball players take note of this growing trend and work towards encouraging young girls to participate actively in the sport. Either way, the equipment, costs, and startup requirements are basically the same between the two similar sports. Women who are members of the United States baseball Women’s Team have shown their commitment in ensuring that young girls participate in the sport more by engaging in mentorship programs. Girls from all over the country are being encouraged to take part in baseball/ softball sporting events that will increase their exposure and experience. Major League baseball has also been actively working with many organizations across the United States that are committed in ensuring more girls are afforded the opportunity to play the game. Apart from just playing the game, Major League Baseball has made arrangements that will see girls participate in other activities that are associated with the game. These activities will include appearances by baseball personalities, visiting baseball teams and engaging the players, getting mentorship from coaches that is not related to the game. According to Major League Baseball taking part in these activities will be important for the girls since it will give them the opportunity to interact with their role models, who in turn will give them the motivation to get on with life more confidently. With the rising rates of youth engaging in criminal activities such as joining gangs and drug abuse, encouraging young girls from a young age to participate in softball will greatly reduce their chances of engaging in such anti-social behavior. It is a general rule that participation in sports generally reduces delinquency among the youth because it consumes their time and energy. Having no time to engage in anti-social behavior is a step towards the reduction of delinquency among the youth. There have also been some changes in the game itself. For example, one might have noticed that most pitchers no longer throw fast balls. You might wonder why this is the case and as a matter of fact, a pitcher may be successful if she favors movement pitches to fast balls. How Much Money Does an NBA Finals Game Generate? Basketball players are guaranteed to cash in millions in the event that their team takes the cup in the NBA Championships at the finals. The final bonus that is up for grabs at the finals is a handsome pay. Endorsement earnings and future salaries are the cash cows after their win. How about knowing how much the bonus money is? A player pay pool is set aside by the NBA each year. The pool has about $13 million in 2017. This money is distributed to different NBA teams with each getting a stipulated amount as per their team’s performance. The team will split into players and the money divided. $8 million is the most amount of cash in form of bonuses that any team could get. 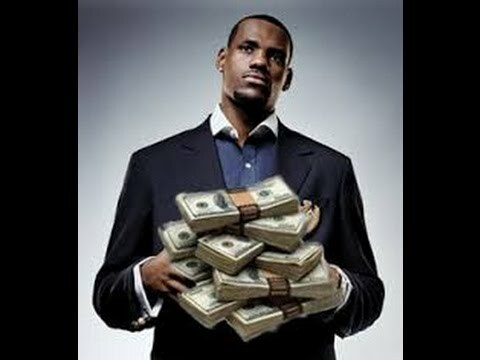 Some players in the NBA make over $20 million each year. Each player scoops between $25,000 and $1.5 million. Final winners of the NBA get endorsement and a future salary of an estimate of between 30 to 50% each year. This is about $200000 to $12 million each year but this greatly depends on the player. But with this handsome pay who wouldn’t have a fat bank account? As the no of people increased ratings of these channels just skyrocketed in a couple of years that created a computation among television channels and a fight for broadcasting rights. “Broadcasting rights” means that a specific channel would provide exclusive coverage of a specific match or a tournament. NBA signed a contract with DUMONT during 1953-54 which was the first national broadcaster. Later on it went to NBC to Hughes Television Network and most recently in 2014 with Espn, ABC along with turner sports for nine years at the highest rates of 24 billion dollars starting from 2016-2017 to 2024-2025. The viewership of these channels went up like crazy as the data shows that nearly 3.27M on ABC, 1.54 on TNT and 1.57M on ESPN watched 2016-17 season. As of all the sports the final is always a big deals for fans because it is the best vs the best and also do and die game for the teams so a crunch match is hoped which is what the fans want, for the players not because its their profession but also to make a handsome amount of money as the winning prize of NBA final as the winning trophy alone has a value of $13,500 players can make additional millions when they wins a NBA Finals Championship. There are unquestionably millions in Finals reward cash up for gets. The greatest additional compensation however comes as far as future pay and support income, for broadcasters because of obvious reasons and yes also for the crooks as it is the biggest stage for them. Is the product even legitimate? These crooks goes beyond the way to make money like fixing, buying players and sometimes match officials too. Nearly after every final the news of final being rigged circulates but the fuss created by Tom Brady took all by surprise. This mess created after a controversial call by the referee at the end of 2018 NBA final and a statement by Tom Brady began to get social media attention in which he might have said “The finals might be rigged or ref are taking bribes” though that is still not clear whether he said it or not or it being true or false but it was a big talking point. The last match that had been “fixed” was when the Lakers beat the Kings thoroughly. So what about the people going to watch finals live yeah that would also cost much like in 2017 NBA finals game 1 the get-in price alone was $522 and its average resale price was approximately $1357. And just kept on increasing that its game 7 price is gonna fly you away the get-in price was $1090 and avg. resale price was 1662 USD.